MatCats is a youth wrestling program open to boys and girls from all schools in 3rd - 6th grade. The program is designed to be a fun and safe introduction to the sport of wrestling. The Collegiate Varsity Wrestling coaching staff and parent volunteers run the program. Wrestling is a safe and challenging sport that kids love. It promotes character, resilience, and confidence. Additionally, the strength, balance, and agility that come from wrestling have a tremendous impact on a child's development and success in other sports. Wrestling has been a key component of success in the careers of countless college and professional athletes in football, soccer, lacrosse, and baseball. MatCats offers a winter season, which begins in November, as well as a Spring clinic. 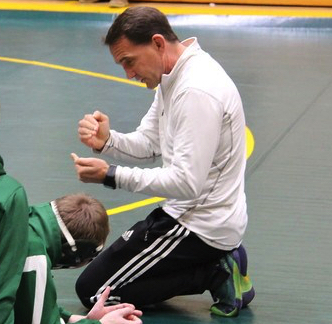 Instruction will be led by the Collegiate Wrestling Coach, Andy Stone (Varsity Head Coach). Please contact him at if you have further questions.